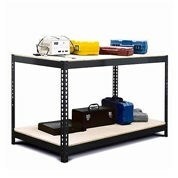 Create Space For A Man Cave Or Workshop With Our Garage Products! Does your shed lack storage and organisation space? Explore through our wide variety of garage products to shop discount prices. Don’t have tools and precious belongings sitting on the concrete, shop our huge range of heavy-duty products. Add some type of organisation to your area and create extra room to fit the car in or even create a small area into a man cave. Discover our huge range of storage equipment to get everything off the ground to an organised structure. 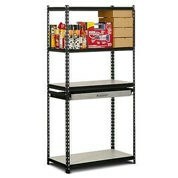 We stock shelving, cabinets, bin racks and wall paneling at affordable prices. Line the walls of the shed with our shelving equipment and enjoy the extra space. 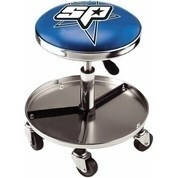 Set up a small or large workstation with our selection of sturdy benches. The heavy-duty products are perfect to complete your outside projects on or just a space to place the stereo system. To add finishing touches, purchase one of our affordable stools that are perfect to place around the shed. Our products are a great addition if you are entertaining one Friday night watching the footy or if you just need a high chair to work at your bench. Don’t go paying full priced for the exact same products. Shop our low prices and enjoy the savings. Shop online with MyDeal to experience a flawless process from start to finish. Within a few clicks, your organisation products can be in your cart, ready to purchase. 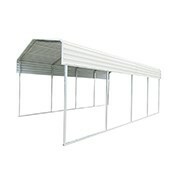 Add some structure to your shed with our huge range of products today.